Living the comfortable life at beautifully designed property . The beautifully designed building of Helican Traditions cannot be missed by the eyes of the tourists. The lobbies of this hotel have beautiful walls which give out a happy vibe to the guests, leading them to the spacious rooms. This residence provides you with comfortable and beautifully designed rooms, well-lit, well-furnished with stunning wooden decor. The rooms have the basic amenities and cater to the needs of the guests. 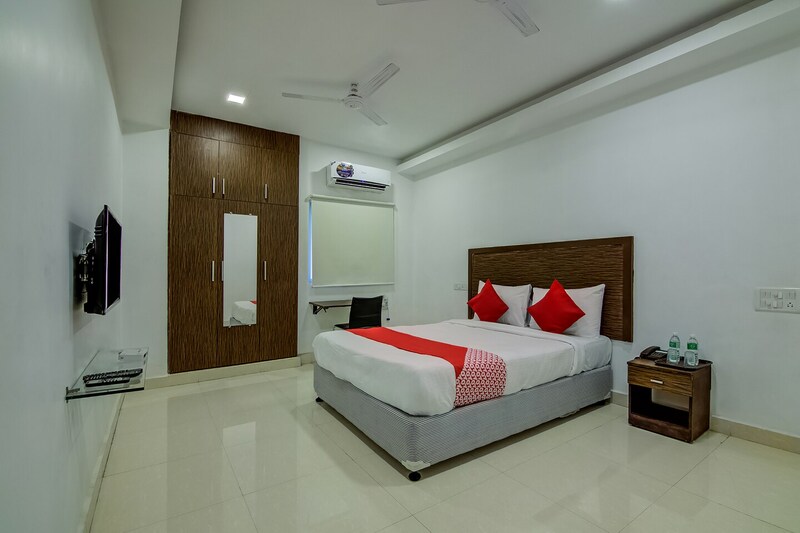 Additional facilities include parking for the guests vehicles, free WIFI for easy connectivity to social media, power backup facility, CCTV cameras for security, and to make it more convenient, allows card payments.